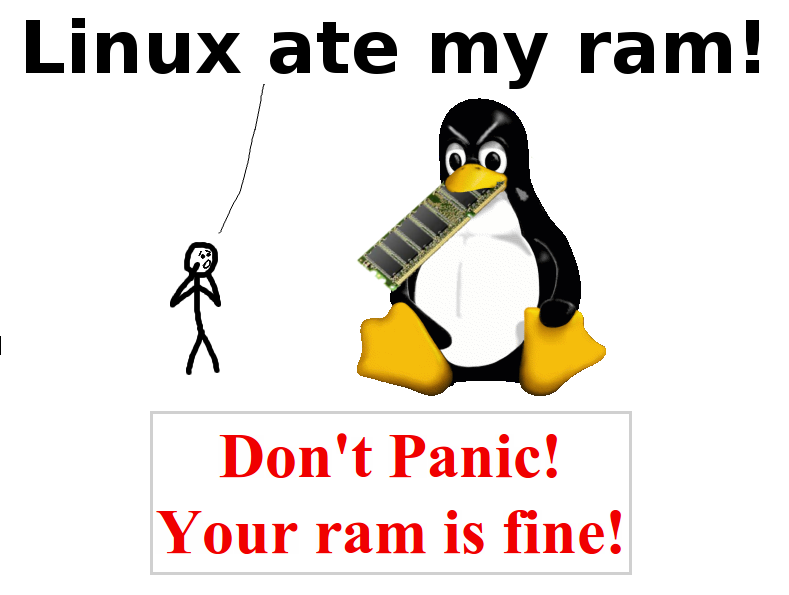 Linux is NOT Eating Up Your RAM, Here's Why! One of the first constraints new Linux users face is the dilemma regarding the memory usage by Linux. It is not really what you think it is. "Linux is borrowing unused memory for disk caching. This makes it looks like you are low on memory, but you are not! Everything is fine!" Visit linuxatemyram.com and you will have your answers. Also, read this popular story on debunking Linux-is-not-user-friendly myth.